mind is their master, they are produced by mind.  The Estonian Theravada Sangha organizes the Novice Ordination Program to develop Buddhhavacana in Estonia. The aim of this program is teaching and instilling the wisdom, virtues and mind development of the participants during period of 10 days. Those who wish to participate in the program must arrive to Aegna island one day before the program commences. During the first three days, ordination texts and basic knowledge will be taught. Shaving the head and memorising the ordination text in Pāli language is necessary. After that, the 7 days ordination will take place. The ordination closing ceremony will take place on the last day. The dhamma teaching is free. The person wishing to take a short time ordination is required to pay (or better, to find a supporter who pays for him) the expenses, which are related to the acquisition of necessary requisites, such as a robe, bowl, etc. All proper requisites will be prepared by ETS (shipped from Thailand Kingdom). During the 10 days, participant sāmaṇera (novice) isolates himself from the outside world as much as possible, not using any electronic communication tools and not contacting with relatives, friends, acquaintances or family members in any way. In case your friends would like to donate food or necessary requisites, ask them to contact Venerable Ṭhitañāṇo, so everything can be arranged in advance and in the right way and time. The WDS Meditation Center offers only vegetarian food. All participants voluntarily undertake to follow first three days 5 percepts (pañca-sīla ) and during the ordination 10 percepts (dasa sīla) to develop greater respect for themselves and others. They will possess an increased awareness of what are appropriate and inappropriate behaviors and will naturally be disinclined to promiscuity, aggressive and violent behaviors, and alcohol, drugs and activities leading to ruin. Hair shaving for those who wish to ordain as sāmaṇera will be held the evening before the ordination or on the same day. If you would like to participate in this event or obtain more information, you may contact Venerable Ṭhitañāṇo.